Did you like seeing The Black Order in Avengers: Infinity War? Don’t want to wait around until the sequel? Want to watch the Wizard once again after his unfortunate frozen demise? 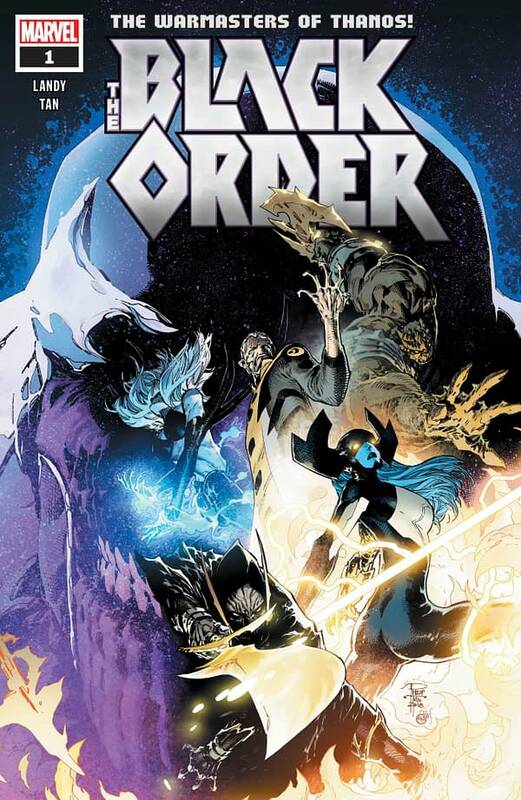 Then Marvel are bringing you a new Black Order comic with an #1 by Derek Landy and Philip Tan, coming this November. “Springboarding from their last appearance in AVENGERS: NO SURRENDER, BLACK ORDER sets the flagitious five on a bloody, brutal, head-rolling take-no-prisoners tear that will pit them against the forces of an entire Galactic Empire–and where they’ll encounter some familiar Marvel faces as well as some bonkers new faces along the way!” teases SVP and Executive Editor Tom Brevoort.